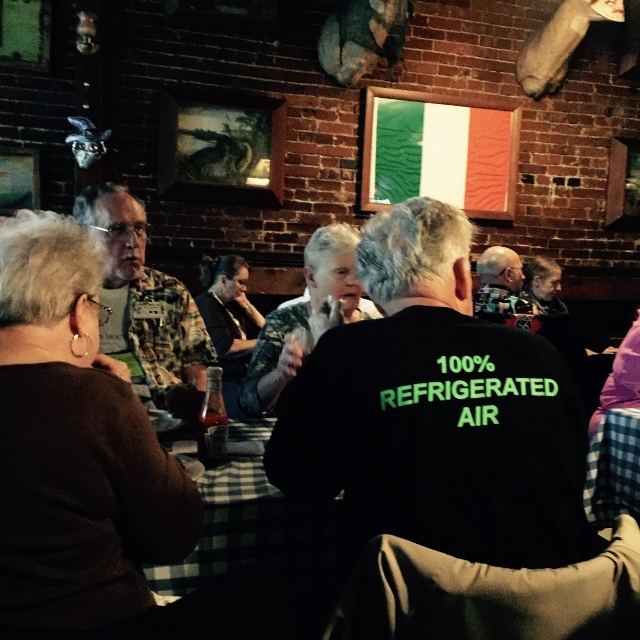 After a late lunch at the Lewis Cafe in St. Clair, my dearest friend and I rolled into Edwardsville with just enough time to check into the hotel and register for the Miles of Possibilities Conference before the pub crawl commenced. This event complete with eye patches provided by David Wickline set the mood and made it quite evident that this Route 66 event was going to be unique. After a bit of exploration in the historic district, and a beer with dinner and laughter at Stagger Inn Again, we called it a day. After five days on the road and a bit of cavern exploration we were ready for a good nights sleep. The following morning we gathered for breakfast at the hotel with a few of the roads biggest fans and celebrities, and then set out for the historic Wildey Theater to set up our display. What an ideal and beautiful location for a multifaceted event such as the Miles of Possibilities Conference. Cheryl Jett, the organizers, the volunteers, and the City of Edwardsville did an excellent job even though the event got off to a very rocky start. 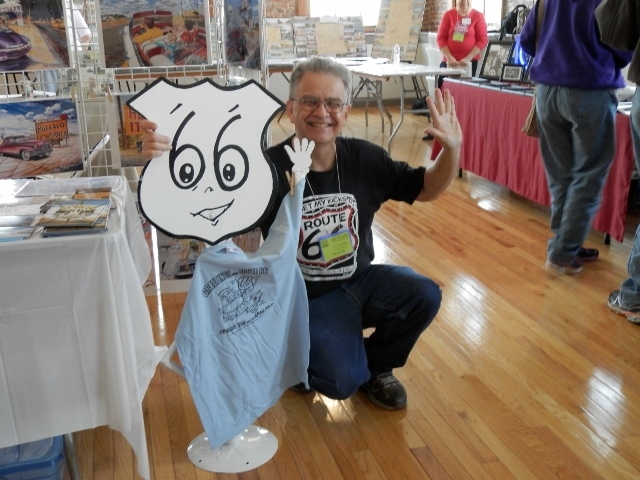 It was that rocky start in Edwardsville, which almost resulted in cancellation, as well as the issues associated with development of the 2014 Route 66 International Festival in Kingman that solidified my belief that a representative national organization such as the old U.S. Highway 66 is sorely needed. Festivals are great and we need more of them. However, there is also a need for an annual convention where the business of Route 66 is intertwined with the fun of Route 66. 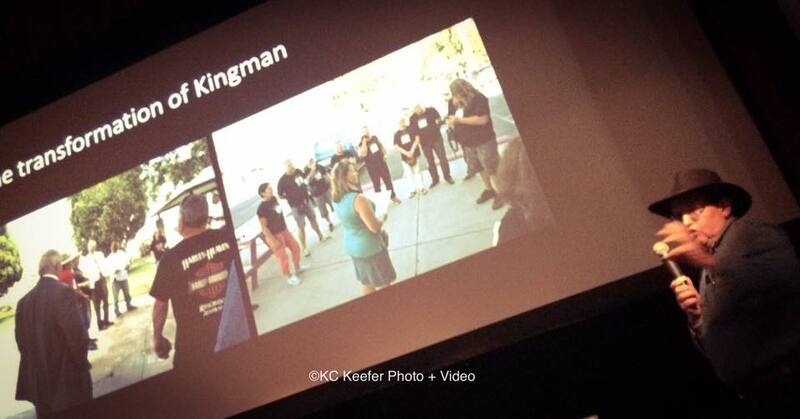 It is my sincere hope that Scott Piotrowski and his team of organizers can refine what began in Kingman and Edwardsville, and make the developing event in Los Angeles more than a mere 90th anniversary celebration. I hope that he and his team can move the Route 66 community closer toward that annual convention. 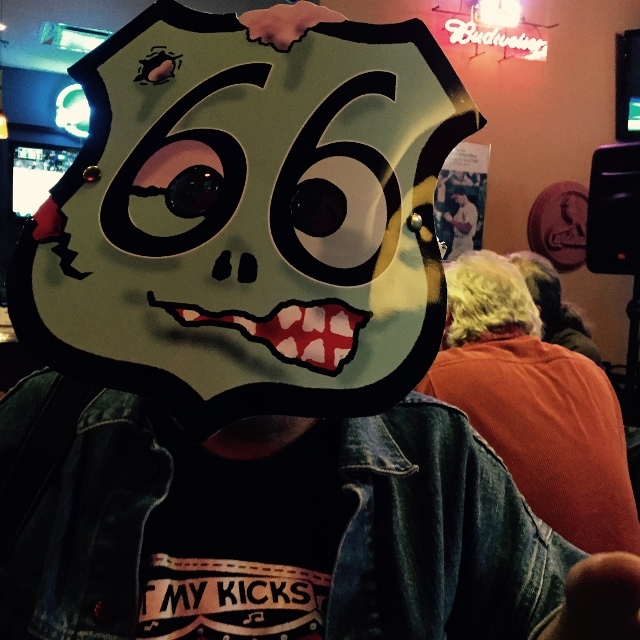 I am also hoping that the developing Route 66: The Road Ahead Initiative can spearhead establishment of an actual convention complete with roadie bash, parade, and festivities can be tied to a full blown conference with workshops. My suggested location for such an historic event would be Elk City in Oklahoma, site of the 1931 convention that attracted an estimated 20,000 participants. 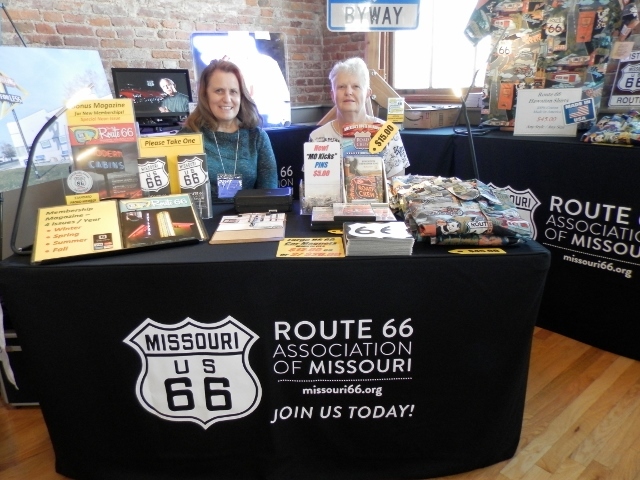 At the events in Edwardsville, the top floor of the theater was set aside for exhibits; collectors, authors, artists, Route 66 association representatives, and similar displays. 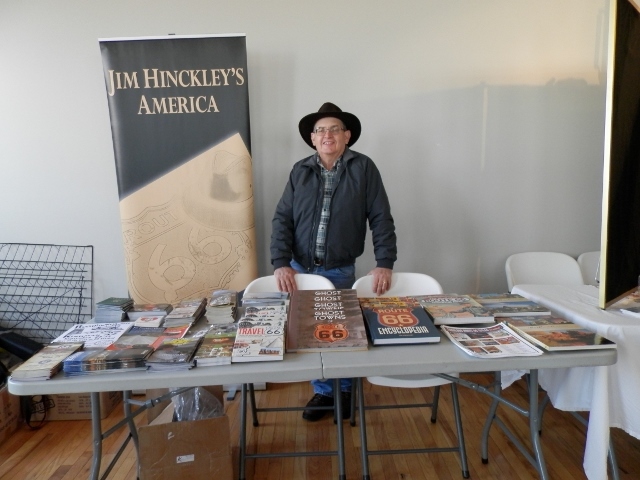 My display table with books and an array of promotional materials from Kingman and locations along Route 66 was next to that for Open Road Productions, a Michigan based company that first delved into Route 66 tours with development of tours for GM China. 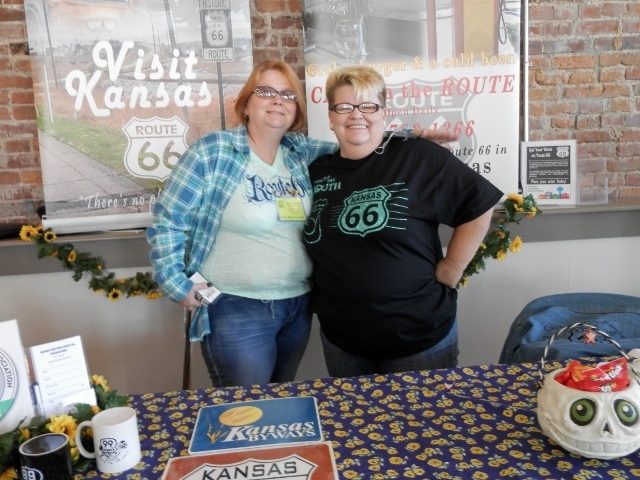 In addition to offering fully customized tours to Route 66, in sections or its entirety, they are in the initial stages of planning a 90th anniversary rally from Chicago that will culminate at the big international Route 66 festival in Los Angeles. For more information about their services, or to inquire about the rally, here is the link to their website – Open Road Productions. The second floor was utilized for the catered dinner on Friday evening, two days of tightly focused interactive conferences, and the e-group breakfast. If your not familiar with the Yahoo Route 66 e-group, I suggest that you check it out and sign up. In addition to providing some great information and updates, the free membership entitles you to some great benefits such as the annual breakfast. The theater itself served as the primary location for the conferences. It was also the venue for the showcasing of K.C. 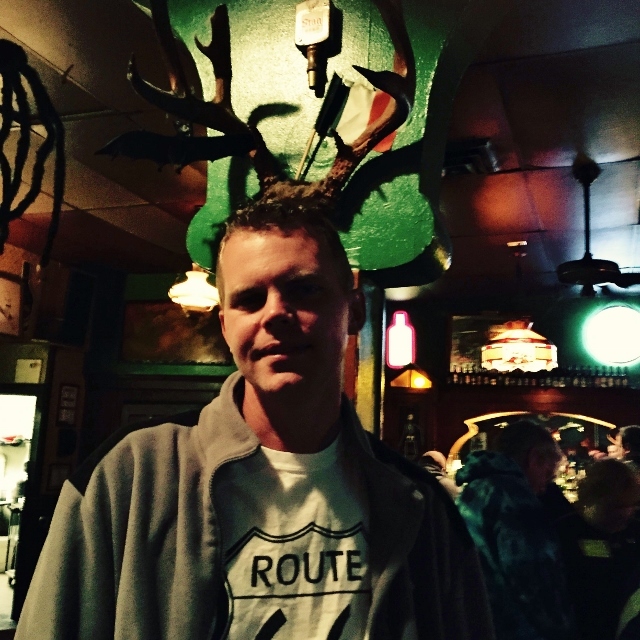 Keefer’s latest film, Exit Zero, the story of Glenrio, and a performance by the Road Crew. All in all it was a most enjoyable as well as productive weekend. 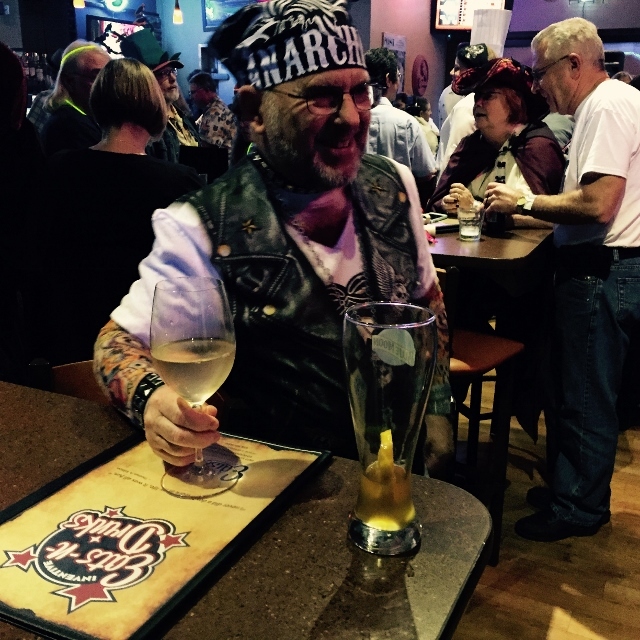 To close things out, at least for us as we were not able to participate in the activities planned for Sunday, there was a most interesting Halloween themed “roadie bash” hosted by “Roamin” Rich Dinkela and Dr. Nick Gerlich. This was an event that will go down in the annals of Route 66 history. Suffice to say, a good time was had by one and all. In the next posting I will share a bit from from our adventures north into Illinois, and then on the road home. 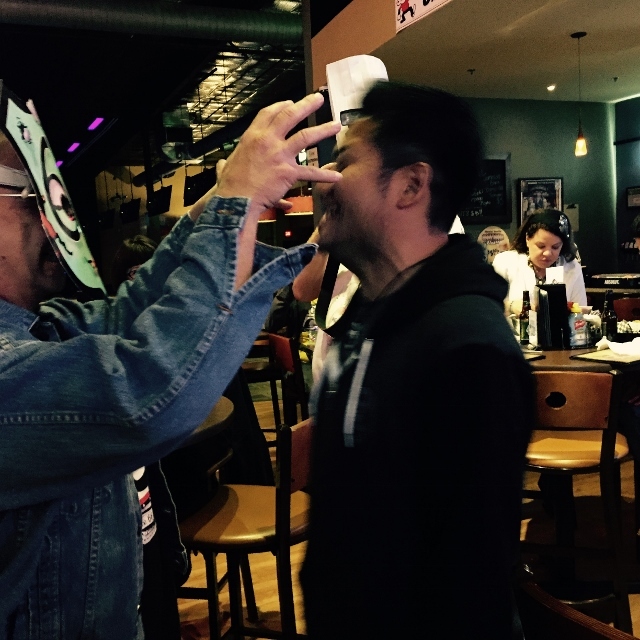 Meanwhile, here are some photos from the roadie bash, the exhibition, and the pub crawl. Thank. Urban areas on Route 66 are some of the most overlooked and least explored segments of this storied old road. So, how do we change that? If a 90th anniversary rally is planned, I hope it doesn't do what all the other rallies and tours do, namely give short shrift to Chicago as the Eastern terminus. I find that most people skip over the Chicago-to-Joliet segment, thinking that the 'real' Route 66 doesn't start until you get south of I-80, which is hogwash: Chicago and L.A. are the two big reasons the route exists in the first place. Anybody who begins the tour in Chicago and only stops at Lou Mitchell's for breakfast is missing a *lot* — so far, my fellow co-authors and I have found more than 150 points of interest along Route 66 between downtown Chicago and downtown Joliet that were there in or before 1926, and we're not done researching the original 1926 alignment yet. Who *are* these people who only want to see the Sears Tower, Buckingham Fountain and Millennium Park (or worse, Navy Pier, which is nowhere near the route) and then move on??? Nobody skips over Santa Monica like that at the other end, so why is everyone in such a hurry to skim over metro Chicago to 'hurry up and get on the road'? (Could it be that the idiot city government and its tourism office, Choose Chicago, does nothing to recognize or market Route 66 in Chicago? We think so.) Even worse, tours led by downstaters and the state association itself intentionally ignore Chicago, not realizing that by working together they'd get far more international tourists who happen to be in Chicago to go further down the route in state. It's a very disruptive and counterproductive situation, and it needs to change (even the Illinois Route 66 Scenic Byway folks admit this privately). But it won't change while folks like the organizers of the Edwardsville event ignore the 1,200-pound gorilla at the other end of the state (and while Chicago's mayor doesn't care, being distracted with budget problems). A very stupid situation indeed. A national organization might actually encopurage the two sides to cooperate. I await that day, but meanwhile I'm not holding my breath.